Property offers free parking. 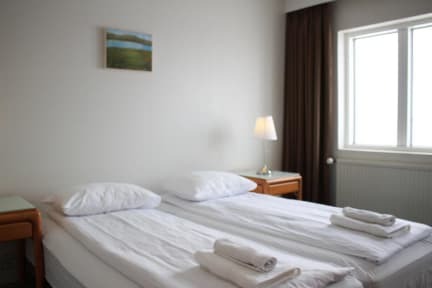 Guests can also enjoy playing billiard, chess and other games in games room and relax in a shared lounge. An array of activities can be enjoyed in the surroundings including hiking. 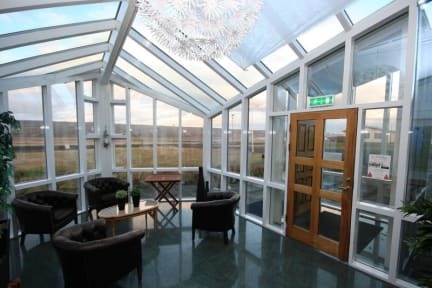 North Star Hotel Stadarflot is located midway between Reykjavik and Akureyri, 29 km from Hvammstangi in Stadur. Hrutafjordur bay can be reached within 2.5 km. An array of activities can be enjoyed in the surroundings including hiking and fishing. If you feel like exploring, Hvammstangi town centre and seal centre are about 34 km from the property. Rooms feature private bathroom with shower, flat screen TV and desk. Free Wi-Fi access is available. Cancellation policy: 15 days before arrival. Payment before arrival by credit cards, debit cards. This property may pre-charge your card before arrival. Please note that property has no reception. We have self check in system, guest receive email with door codes and check in instructions about 1 week before arrival, if you don't receive email, you need to contact us via email. There is no staff. They send you an email with a pdf with your room number and a code to get in. If you arrive, as we did, and are unable to get that information there is no help. There is no one on the premises and the phone number they give you to call for assistance is disconnected. There is also no restaurant or kitchen available for cooking, so if you don't bring your own supplies you're outta luck.